One of the most important draws of anime conventions of late seems to be their musical lineup, and for good reason: nothing gets convention-goers more excited than some excellent concerts. 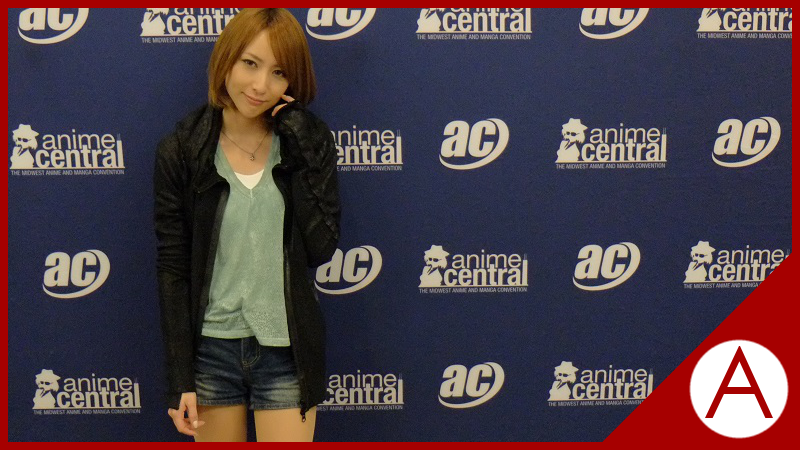 Anime Central 2016's biggest musical guest was the famous J-Pop artist Eir Aoi. Eir Aoi is arguably one of the most famous anime theme song performers of these past few years, and her list of songs includes several mega hits, such as “Ignite” from Sword Art Online II, “Sirius” from Kill la Kill, and “Genesis” from Aldnoah.Zero. As you can probably tell from just those three tracks alone, Eir Aoi has worked in quite a few popular anime, and thus her portfolio of songs is perfectly suited for an anime convention such as Anime Central from the get-go. Eir Aoi put on a full concert Friday night, during which she performed all of her major anime and video game hits. As a music fan who avidly keeps up with the Japanese music scene, I can say with a decent amount of certainty that Eir Aoi is excellent live. Despite her primary language being Japanese, she put forth the effort and successfully stirred up the crowd with a vibrant and engaging stage presence. Eir Aoi’s tenor vocals proved to be just as effective on stage as they are in her official releases, something that can’t be said for every performer. Overall, the concert was definitely a highlight of the convention, and I suspect that her CDs sold quite well afterwards. When asked which singers shaped/influenced her music early on, Eir Aoi cited Evanescence, Do As Infinity, and Slipknot. Needless to say, Eir Aoi is a very large force in the J-Pop world, especially in the realm of anime music. It is clear from her time at Anime Central that she has a passion for her work from the beginning of the writing process to the performances during her world tours. If you’re interested in her music, it is available digitally on most American stores. Additionally, many of her music videos are available on her VEVO channel. All photography present in this article is taken from the press photo-shoot following the interview session. AniTAY attended Anime Central 2016 as members of the press. Stay tuned for the rest of our coverage, including exclusive Q&A events and more!